Frances Brandon is a fully qualified orthodontist. She worked as a general dentist with special interest in childrens dentistry until 1995, when she began 3 years of specialised training in how to diagnose, prevent and treat dental and facial irregularities. She received her Membership of Orthodontics from the Royal college of Surgeons in Edinburgh in 1998. She is a member of the Orthodontic Society of Ireland the Irish Dental Council, and European Orthodontic Society. 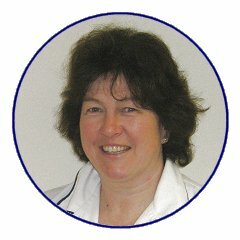 Frances has been in private orthodontic practice in Bray for 20 years now. Orthodontics is the specialised branch of dentistry that deals with the diagnosis and treatment of problems caused by poor alignment of the teeth and jaws, and is carried out using different types of braces. Frances Brandon. Specialist Orthodontist, providing Braces for children and adults in Bray, South Dublin, Wicklow, and Wexford. Member of Orthodontic Society of Ireland. Click For Free Consultation appointment. Bri Chualann Court, Adelaide Road Bray, Co. Wicklow. Ireland.